Dr Christopher Wiley delivered a talk entitled ‘Ethel Smyth’s (feminist?) opera, The Boatswain’s Mate’ at the Millmead Centre, Guildford on 27 February 2017, for Guildford Hard of Hearing Support Group. The Boatswain’s Mate was the fourth of six operas composed by Smyth (who suffered from distorted hearing and deafness for the last several decades of her life), and was the most popular and most frequently performed during her own lifetime. It was recently released in its first complete modern recording by Retrospect Opera (of which Dr Wiley is a part). An acknowledged expert on Smyth, Dr Wiley provided an outline of the circumstances of the composition of The Boatswain’s Mate, its plot, and interesting features of the music. He also discussed the extent to which the work constitutes a ‘feminist opera’, as has previously been suggested. This is the second time that Dr Wiley has addressed Guildford Hard of Hearing Support Group, having delivered a presentation on Smyth’s life and works two years ago in January 2015. Dr Wiley has also recently given talks on Smyth at The Guildford Institute and at the composer’s childhood home in Frimley Green. Dr Christopher Wiley presented a talk entitled ‘The Composer Dame Ethel Smyth and her Deafness’ at the Millmead Centre, Guildford on 26 January 2015, for Guildford Hard of Hearing Support Group. 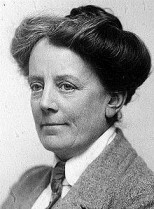 Smyth, who was active as composer, writer, and suffragette, was afflicted by distorted hearing and deafness for the last several decades of her life, particularly from the later 1910s until her death in 1944. An acknowledged expert on Smyth, Dr Wiley has previously given public talks on the artist at the University of Surrey and The Women’s Library, London, as well as writing for the OUP Blog and organizing a recital of Smyth’s music to commemorate the 70th anniversary of her death last year.